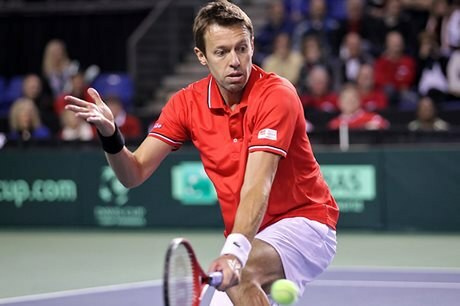 Daniel Nestor is considered Canada’s greatest tennis player, having won 82 men’s doubles titles, including a gold medal and eight grand slam men’s doubles titles. Nestor moved with his family to Toronto when he was four years old and started playing tennis at the age of seven, after his father bought him and his brother rackets. In 1984, at the Tennis Canada National Championships, he won in the under 12 category. In 1992, he defeated the then-number-one ranked Stefan Edberg for the Canadian Davis Cup. In 1994, Mark Knowles from the Bahamas became Nestor’s tennis partner, and the pair placed second at the final of the Australian Open the following year. Together, the two men won 40 titles in doubles tennis. Nestor has also partnered with Nenad Zimonjic and Max Mirnyi. Nestor became the first player in the Association of Tennis Professionals’ history to score 900 career doubles wins. Learn more about Nestor on his official website. See Nestor’s player profile and statistics on the Association of Tennis Professionals website.